Need A Bulgarian Translation? The Marketing Analysts Will Do It For You – Fast And At An Affordable Rate! 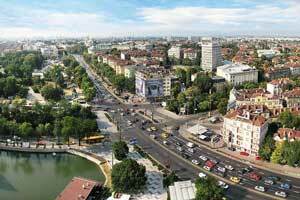 Bulgaria is a small country in Eastern Europe with a history of over 1400 years. With its beautiful nature and climate that comprises all four seasons Bulgaria is one of the most desired tourist destinations in Europe. The language that is spoken in Bulgaria is Bulgarian, but probably the most famous facts that comes to mind when one thinks of Bulgaria is the Cyrillic alphabet. Invented by the Bulgarian brothers Cyril and Methodius in the 10th century, it is now the alphabet for many languages besides Bulgarian, most notably: Russian, Ukrainian and Belarusian of the Slavic languages and Kazakh and Mongolian of the non-Slavic languages. Being a member of the European Union since 2007, Bulgaria is a fast developing economy which offers numerous investment opportunities. Some of the industries that may present interest are the wine industry, mining and agriculture, energy and tourism. Another distinctive feature of Bulgaria includes world famous musicians and sports people. Among them opera singers Raina Kabaivanska and Nikola Giuzelev, and soccer players Hristo Stoichkov and Dimitar Berbatov. The Language translator who is going to attempt English to Bulgarian or Bulgarian to English Translation must be aware of some specific features which make it difficult to translate. Even though the Bulgarian language belongs to the group of the Indo-European languages, just like English and German there are very few similarities between these languages. A thorough investigation of the problem will actually reveal that Bulgarian and English have a lot in common, but on the surface this appears not to be so. As for the differences it is worth noting a few that will convince the reader of the difficulty of the Bulgarian language. Bulgarian has gender for the nouns – feminine, masculine and neuter. When we add to this the singularity and plurality of the nouns, the matter becomes even more complicated as we enter a world full of word endings, which must be used correctly. In terms of grammar we verb conjugation which means that the verbs have specific endings for each person and number. Because of these word endings in Bulgarian we can often omit the subject of the sentences, as the word ending reveals which person and number it is. Now you are convinced that the Bulgarian language is a difficult one but our team of Bulgarian Translation specialists is well-prepared to deal with all sorts of problems and texts. THE MARKETING ANALYSTS offers a high-quality English to Bulgarian and Bulgarian to English translation services. Our team of Bulgarian Translator specialists comprises only highly-qualified professionals who are native speakers of Bulgarian and occupy positions in top Bulgarian universities. In addition to this, they all have a minimum of Master’s degree in English from a recognized program in translation. We hire our translators by following certain procedures. Some of these will include looking into potential translators’ past experience searching for the following: at least ten years of experience in the field of translation and interpretation, successfully completed translation projects, translation and interpretation at scientific and research forums. The expertise of our Bulgarian Translator professionals ranges from general and literature texts, through technical documents and certificates, to economic and marketing data analysis. We at THE MARKETING ANALYSTS are determined to provide the client with a wide range of translation and interpretation services. We offer high-quality translations in almost all fields of knowledge. For example, our customers can benefit from our specialized translation service, which includes: Legal Translation, Financial & Banking Translation, Marketing & Sales Translation, Medical Translation, Real Estate Translation, Technical Document Translation, and Website Localization. In addition, we are able to provide notarized and certified translation services which will comprise: Birth Certificate, Driver's License, Diploma and Transcript, High School Certificate, Immunization Card, Divorce Certificate, Death Certificate, Marriage Certificate. Whenever you need a Bulgarian Translation, you can always trust us. Call us immediately and or the complete the form on our website and you will receive a personalized quote – completely free. Besides, our team of experts will evaluate your project and will estimate how long it will take for it to be completed – this will depend of the length of the text and on the text difficulty. If you decide to assign the project to us, which will be the most obvious choice, we assure you that you will receive a top quality service. Should the project take longer you will be informed on our progress. In any case we at THE MARKETING ANALYSTS aim at providing you with 100% satisfaction guarantee service.